Whether you love him, disagree with him, respect him, are confused by his behaviors or are completely in awe of his actions, Pope Francis has certainly made people across the globe (and across religious backgrounds) open their eyes and think differently about the world. Which is one of the many reasons we cannot wait to dive into his new book, Encountering Truth: Meeting God in the Everyday, when it is released on June 16th. 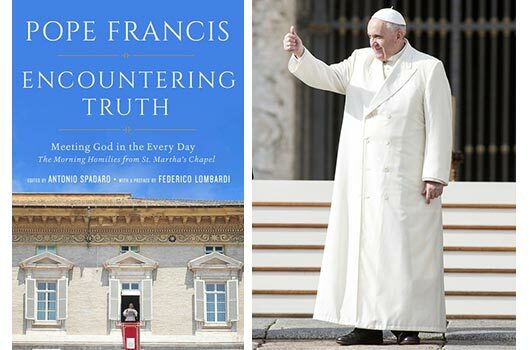 Here are 5 more reasons to check out the Pope Francis latest book.